Ministry assessments can be useful tools for helping us determine if we are lining up with God’s purposes for His Church. For them to have optimal benefit, we must make sure we are using the right standard. Use the right standard for measurement. The right standard for measurement when doing assessments in the church, then, should be how what we are doing aligns with His purpose for us to love Him and to love others. It isn’t just about reaching a certain number or doing a lot of good. We may look at that data but the ultimate standard of measurement is how we align with our Church Purpose. Use the right standard for evaluation. It can look like we are doing all the right things when evaluating the results of our assessments. But, if we get to the core of the matter, determining if we are aligning with God’s purpose for us to love, we may come to a very different conclusion. We can be doing good yet still not be aligned with our purpose to love God with all of who we are. We can be helping people but still not aligned with our purpose to love people. Use the right standard for using the results. Undoubtedly the results of an assessment will reveal both strengths and weaknesses. 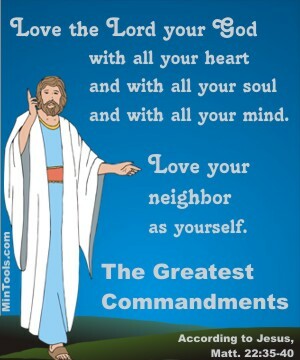 Love for God and others needs to also govern the way we use those results. We will look at this point in the next post.